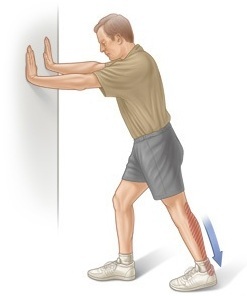 The thought that stretching before exercise can help prevent injury is a cherished one. However, current research suggests that static stretching (holding a muscle in a stretched position for a period of time) before exercise can be detrimental to your performance and at best, useless at preventing injury. In one study of 1543 serious runners (David Lally PhD at The University of Hawait-Manoa) concluded that runners who stretched before exercise were 33% more prone to injury. Interestingly, those athletes who stretched after their workouts actually enjoyed a lower risk of getting hurt. What Else Can Cause Injuries? The most prominent indicators of possible injury are previous injury, general fitness levels and embarking on a new exercise programme, particularly the older you are when you do this. Therefore, it is important to consult a health care professional, such as a chiropractor following an injury and/or embarking on a new exercise programme so they can formulate a structured personalised programme for you. What Does Work As A Warm Up? At least 10 minutes of continuous, submaximal exercise, which will raise muscle temperature and down play muscle stiffness. Also, dynamic activities which bear a close resemblance to actions which are to follow during the post-warm up workout or competition, e.g. mimicking the important movements associated with a particular sport. For more information on this topic and general tips on posture, stretching and exercise, why not book in on our Free Health Care Class? If you have an injury come in for a free MOT check-up / screening consultation. To avail yourself of these services please phone us on 0113 2289888.